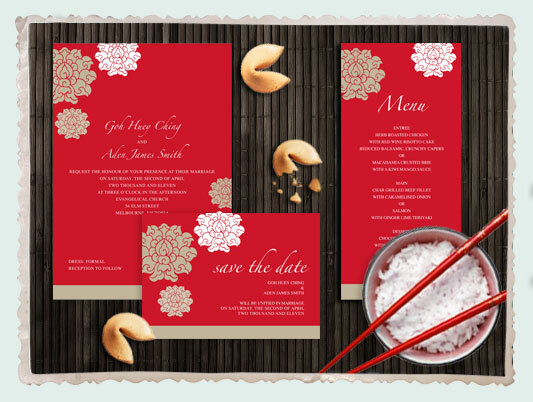 Now available in our online shop are more products from the chinese inspired eastern promise wedding stationery range, including save the dates and menu cards. Enjoy! I love the deep red color of the wedding stationary. Not the usual light colors I see. Such a lovely design I love it so much. Red is one of my favourite colors. Oh this really is something special! !